Well then all I can say is what a couple of days it has been! Will start off with Thursday. So the day had started off on dry and relatively bright note, cloud moved in around midday which it stayed like that for quite a few hours. The first wave of precipitation arrived late Afternoon around 4pmish, it started as rain and sleet across the whole Island which was like that for a good 45 minutes to an hour. Reports started coming in of the rain and sleet and started turning to snow across Central and Western parts of the island! By around 6pm, the reports coming in were that many places was snowing, but at this point, only the far East coast of the Island was under sleet (Which happens to be my area). Set off for a bowls game in Ryde, when we got there, the rain was rapidly turning to snow, with big flakes getting thrown in by now. The game started, the sound of our bowls club tin roof went silent and at this point I had a huge adrenaline rush, knowing that there was heavy precipitation falling and our roof being silent, it had turned to heavy snow! I snuck off the green for a cheeky look as I couldn't help myself, and it really was heavy snow coming down! The opposing team conceded the game early with our team so far ahead, they wanted to get back early in case the snow got too bad. I quickly ran off the green, shouted in excitement ( DO YOU WANNA BUILD A SNOWMANNN) << the look I got given . Anyway left the club, and there was a good inch fallen outside at this stage with yet more heavy snow falling. It was a treacherous ride home. Got to Sandown and amazingly there was hardly any snow on the ground, it had only just turned to snow in this area at the time I got back. Half hour later my good old storm and snow chasing buddy came and picked me up in his 4 by 4 and we headed out to central and western parts where it was really really awesome! Was really a magical night, we went to Newport town square, heavy snow with very light winds was just amazing. We then went into the middle of Parkhurst forest at mid night, got the body the board, using this ledge and snow made ramps! There was a good 6-7cms in this area. We then went to our final destination out towards Freshwater which had even more with snow accumulating to about 10cms. What I found amazing was, there was no precipitation showing over the island on the radar at this point, but we just had continuous moderate-heavy snow falling non stop for hours! Then all the stars came out on the way back home and it was still snowing moderate to heavy! Sandown and Shanklin finally had a coating when I got back, but these were the only 2 places where it didn't do quite so well. Snowing now in my part of the island in Sandown! Big flakes now rapidly getting thrown in, other places on the island is already falling as snow! Temperature dropping a little faster now and the dewpoints are also falling as the NW winds are starting to kick in. Still raining for now though! Actually as im typing this its turning to sleet! Rain has just arrived here, temperature starting to drop a little more. So the charts are on a bit of a downer this morning, though I don't think its anything worth worrying about at this stage, if it can turn like that just over night, then it can still easily change back the next 24 hours. So again I haven't posted in a few weeks again due to Anxiety issues and other problems, am trying to get back into the swing of things. I am well behind on a lot on here, but do follow as much as I can. Certainly a lot of interest going on in the models of late, the quick changes in the shorter term proves why things should never get written off and yet its still all changing on each run. Though our first cold shot does look like its on the cards with the models agreeing on this first short Northerly, with the high pressure ridge going up and then into Scandi, giving us a cold North Easterly-Easterly, which sinks way South. A fair few models going for more attempts of more cold potential, but at that point there will be still a lot of changes. I love these roller coaster rides during these winter model watching months. The Liverpool teams of the late 70s/early 80s will be v hard to beat. European cups and League titles in abundance won by squads made up of Brits. Will never be surpassed. Not just so much the Goal Keeper but Van Dijk has been the key in my personnel opinion, he is an absolute monster! I also think he is better than what Sami Hypia was! Along way way to go, but following Liverpool my whole life, this the best Liverpool team i've ever seen so far! GFS P looking pretty decent again currently, be interesting to see what the ECM brings after showing some good consistence the last few runs. 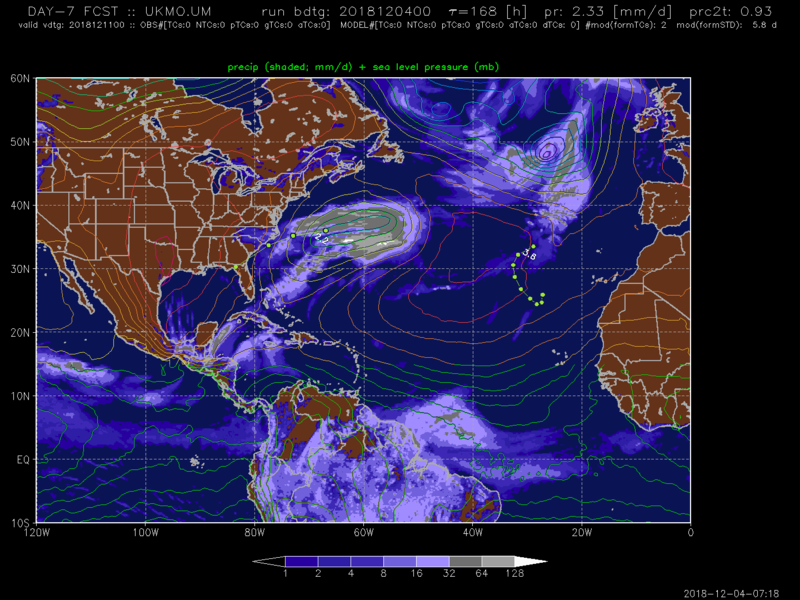 GFS normal showing something different like it normally does on most runs. 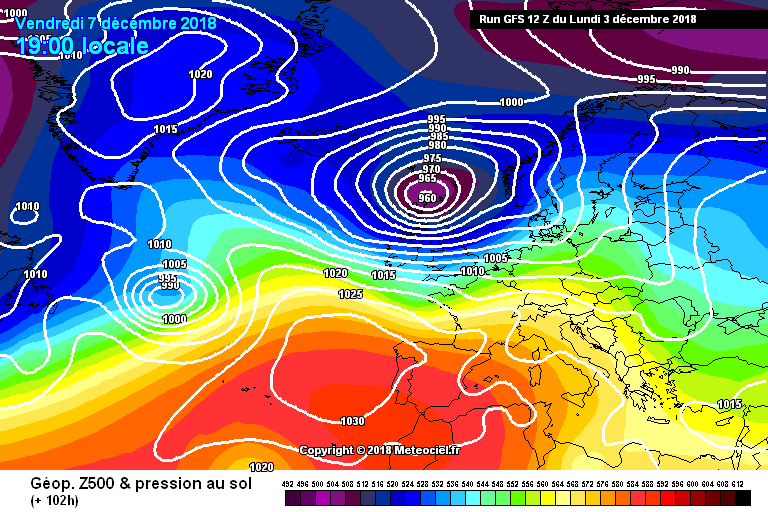 UKMO didn't look too bad either to me on its latest 12z. I for one definitely don't think the UKMO is all doom and gloom, it is still trying and isn't a million million miles off. Icon isn't great again, but I have seen worse before, i'm not too knowledgeable on the Icon so I don't want to discard it just from previous experience with other scenarios with other models. GFS another really really good run with potential snow showing in the South whilst the GEM tries but doesn't quite make it. As others have said all the uncertainty and just from previous experience I think it will take another few days to see what really happens. If I remember back in March this year, March 2013, December 2010 on quite a few occasions where the models would look really really good, then they back off and then a couple of days later they all jump on board again, these are just a handful of scenarios. Doesn't mean it will happen this time round but its just a reason why I never give up because of a couple of non favourable runs. A lot of Mid-high level cloud has now moved in ahead ahead of tonight, winds are still non existant to very very light however however. There were awesome looking sun rays as the cloud began to cover the Sun walking across Sandown seafront. Current Temperature: 8.3'c after reaching a high of 10.1'c so far. Thinking this run might be better again slight with heights to the North by 192/198 look slight further West over Iceland and slightly closer to Greenland. 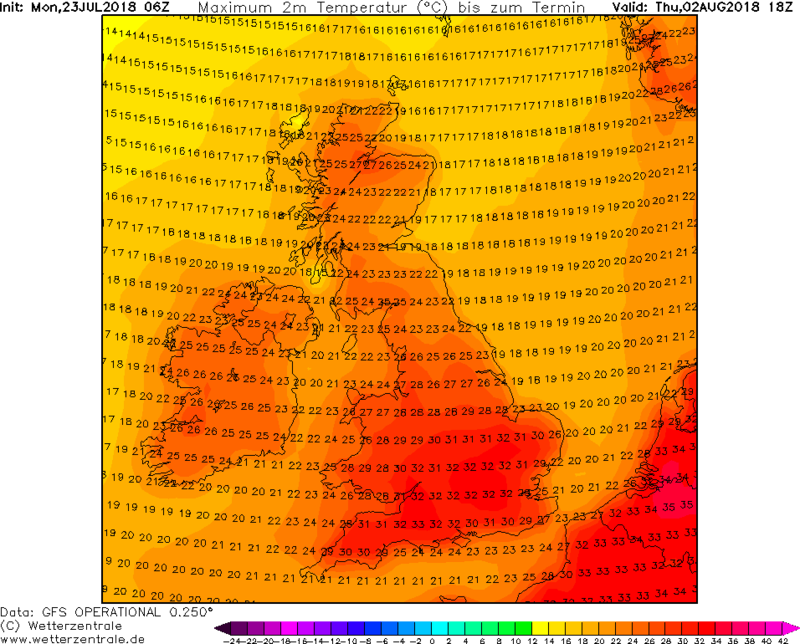 Good Morning Net Weather, a beautiful crisp clear sunny Morning to start Today along with light winds too! Was quite a cold Morning with a ground frost in some parts of the Island but not all parts. So is 6Z in the short term Blue, looks sharper and amplified by 120- showers turning to snow in Northern Scotland i would suggest as air originated from way north moves in..
PS excellent news about weather bell.joins Glosea i suspect.. Very interesting charts again this Morning, ECM sticking with its idea, UKMO looks like it would be very decent if there were any runs after 144 and the GFS also looking very nice for the cold and Scandi high potential! Currently 10.1'c which is the lowest so far today. This is why I love winter Model watching, the chopping and changing, everything is still a mystery. GFS is a poor run to say the least, but at this stage i'm certainly for one not gonna worry about things until we get to within the 5 day time frame. Yesterday ECM wasn't having any of it, but today its like actually yeah I want some of that, now UKMO looks like it wants some of it on the latest. Now GFS has decided it doesn't want any of it,. Again it goes to show nothing is no where set in stone. UKMO and GEM looking really good, which I agree with a lot of others about the UKMO, have always thought they have been solid. So with this reason gives me a little confidence, not to say it won't change on the next run. We now await the ECM and the Paralelle to update. 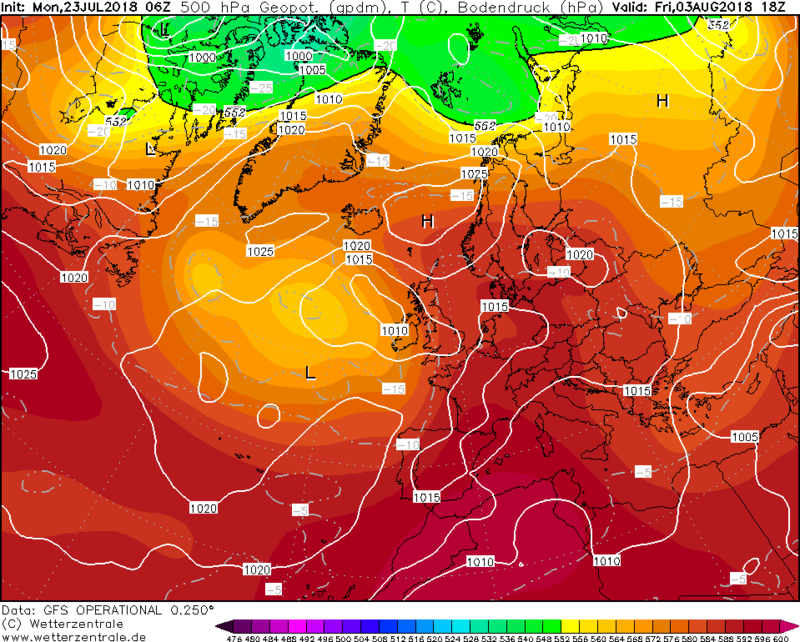 In the closer time frame i'm quite looking forward to the some of the stormy weather the charts are showing for the weekend, looks nasty for the North, though reckon there could well be some wintry showers as its moved through too, maybe some thundery showers further South along the coasts. So after a long long long spell away from Weather up and until this year, I thought id make a return, but right back in the deep end of things, quite rusty still but want to re learn it all properly. 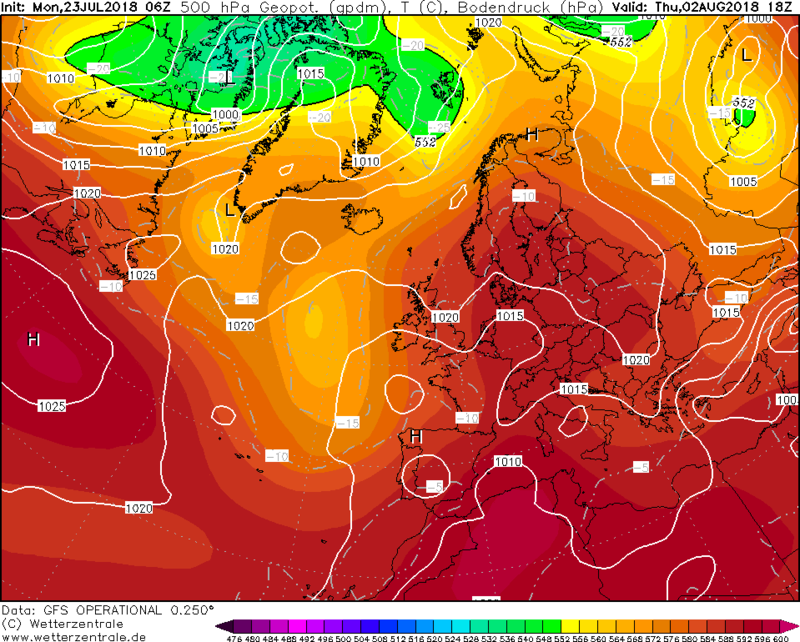 Latest GFS again is absolutely insane, barring one small little blip showing towards the end of this week away from the South East, it still looks exceptionally dry and even if temperatures showing mid 20's in just that small blip will still most likely be nearer high 20's nearer the South East as has been mentioned. 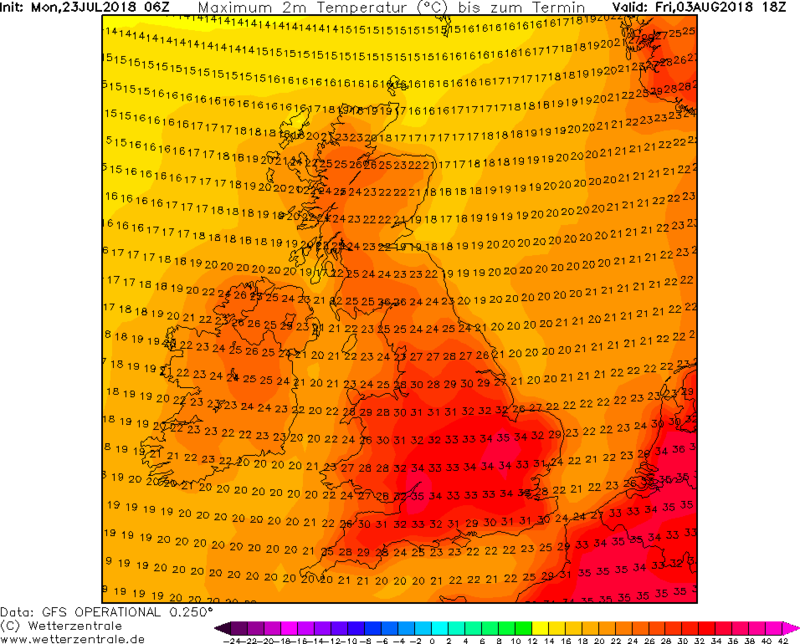 The week after is definitely worth keeping an eye big time, with so many runs showing mid 30's even high 30's, with how dry the continent is as well, I wouldnt be surprised if a couple 40's to be recorded in parts of the country if of coarse it still showing the trend nearer the time. This 6z run though is a beast once again, far out still but with these trends keep on showing, we could definitely be on to something. 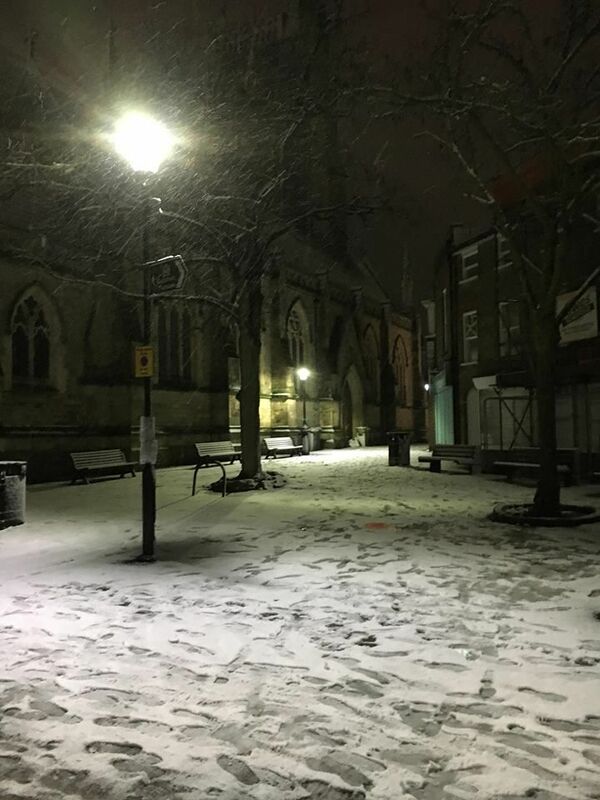 March 2018 my friend has well an truly delivered, amazing snow here again this evening, I can safely say that im Satisfied, last night aswell was amazing, the snow was so heavy, especially in the early hours of this morning!